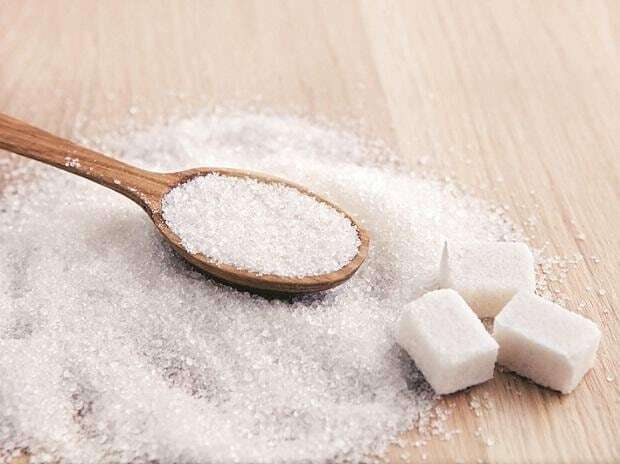 Stocks of sugar firms jumped by up to 10 per cent on Friday, following the government’s decision to provide soft loans to mills to help them clear cane arrears. While Dharani Sugars jumped 9.4 per cent to Rs 12.80 on Friday, Sakthi Sugars surged by 5.85 per cent to Rs 10.85. Shares of Triveni Engineering and Dwarikesh Sugars jumped 5.18 per cent and 4.49 per cent, to close at Rs 57.90 and Rs 30.25, respectively. With the highest ever cane arrears, estimated to be over Rs 20,000 crore, the sugar industry is passing through a difficult phase. Huge stockpiles, bumper production for the current season, and weak overseas demand have worsened the mills’ economic condition. To deal with the liquidity crisis, the Cabinet Committee on Economic Affairs (CCEA) on Thursday approved soft loans to mills of Rs 7,900-10,540 crore. “The industry estimates that sugar mills will get Rs 700-800 crore of this soft loan fund that will take care of inventory carrying costs. Considering the annual interest rate of 11 per cent on working capital, carrying inventory works out to 1 per cent of the cost. This ultimately translates into a huge burden for the company. So, the soft loan package is a big relief for mills,” said Atul Chaturvedi, vice-chairman of Shree Renuka Sugars. Under the soft loan scheme, the Centre will bear the interest subvention cost at the rate of 7-10 per cent to the extent of Rs 553-1,054 crore for one year. The CCEA, to encourage mills to clear dues, said the approved soft loans will be provided to units that have cleared at least 25 per cent of their outstanding dues in the 2018-19 season. Total cane arrears are estimated above Rs 23,000 crore. The Centre had recently announced Rs 2 per kg hike in the minimum selling price (MSP) of sugar, which the government had estimated will help cash inflow to the tune of Rs 5,000 crore. “The approval of soft loans will enable payments to sugarcane growers. However, this measure will act as a temporary aid or comfort for the industry as the loans availed by mills will have to be repaid. Thus the question remains for how long the government will continue to provide packages or soft loans to the industry. Therefore, it becomes extremely important to work on the mismatch of sugar and sugarcane prices so that the problem of cane arrears can be solved,” said Madan Sabnavis, chief economist, Care Ratings.